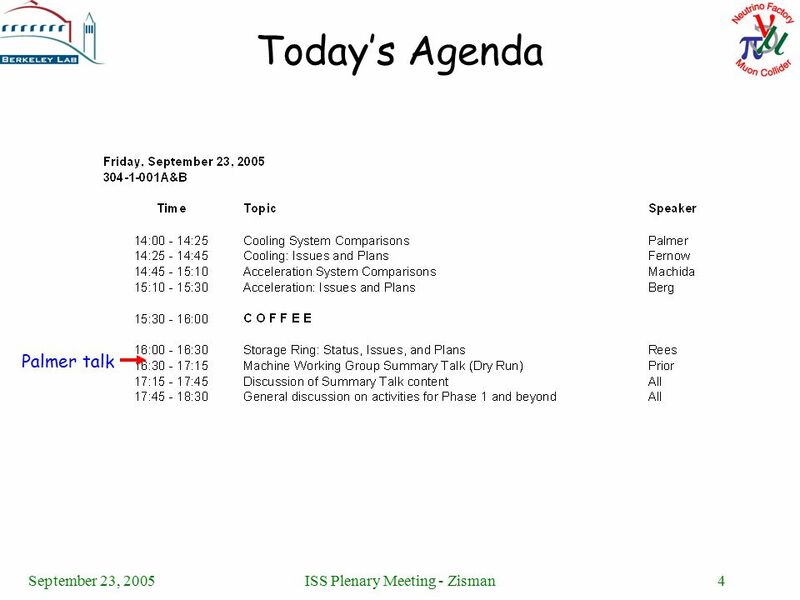 September 23, 2005ISS Plenary Meeting - Zisman International Scoping Study Accelerator Working Group: Tasks and Plans Michael S. Zisman Center for Beam. 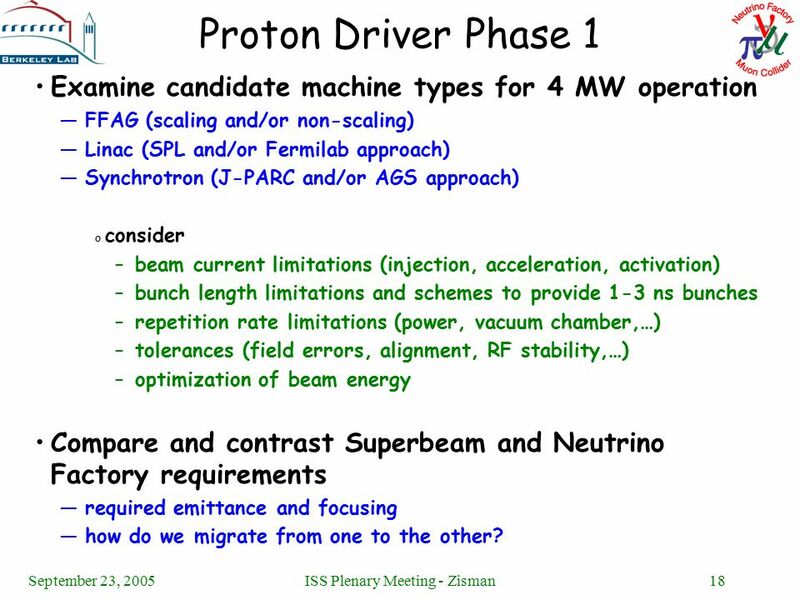 18 September 23, 2005ISS Plenary Meeting - Zisman18 Proton Driver Phase 1 Examine candidate machine types for 4 MW operation —FFAG (scaling and/or non-scaling) —Linac (SPL and/or Fermilab approach) —Synchrotron (J-PARC and/or AGS approach) o consider –beam current limitations (injection, acceleration, activation) –bunch length limitations and schemes to provide 1-3 ns bunches –repetition rate limitations (power, vacuum chamber,…) –tolerances (field errors, alignment, RF stability,…) –optimization of beam energy Compare and contrast Superbeam and Neutrino Factory requirements —required emittance and focusing —how do we migrate from one to the other? 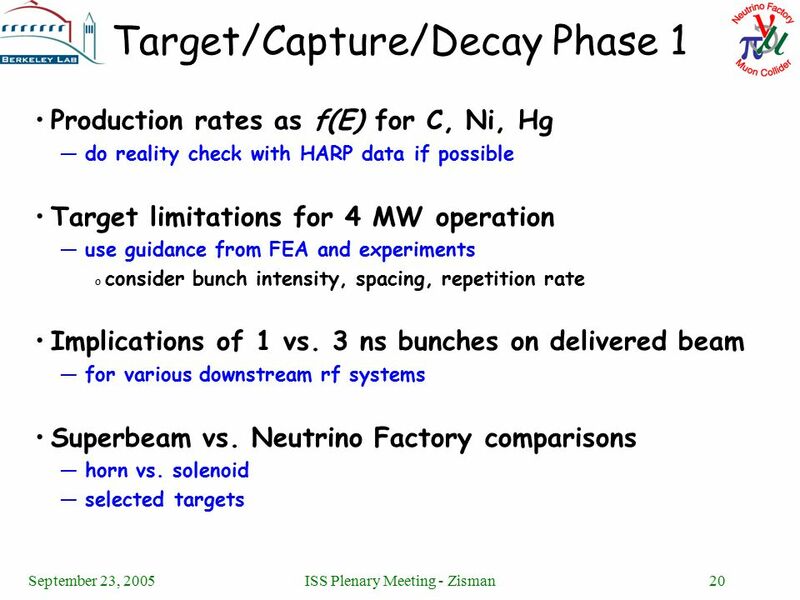 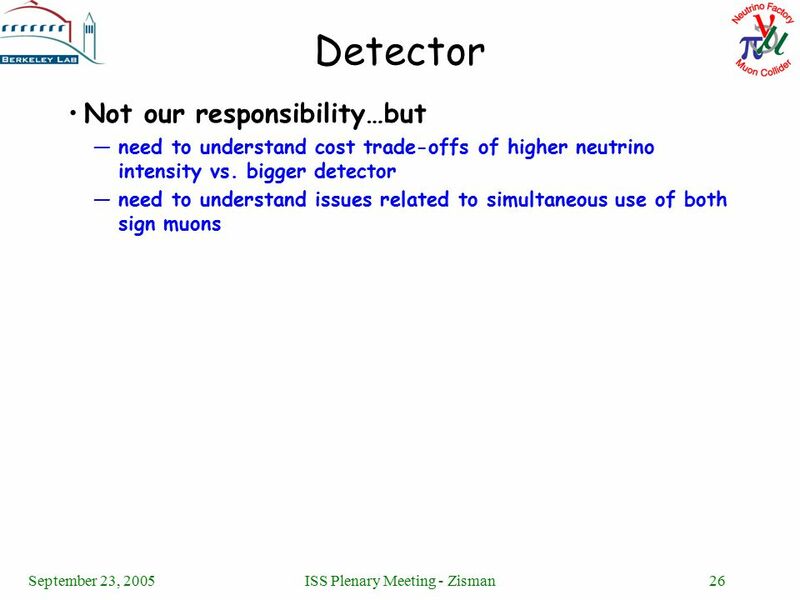 19 September 23, 2005ISS Plenary Meeting - Zisman19 Target/Capture/Decay Questions Optimum target material —solid or liquid o low, medium, or high Z Intensity limitations —from target Superbeam vs. Neutrino Factory trade-offs —horn vs. solenoid capture o can one solution serve both needs? 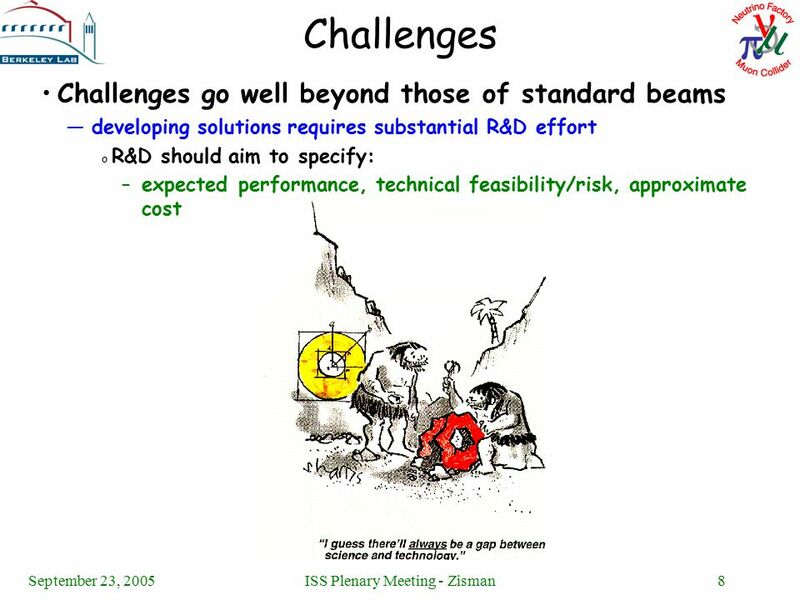 —is a single choice of target material adequate for both? 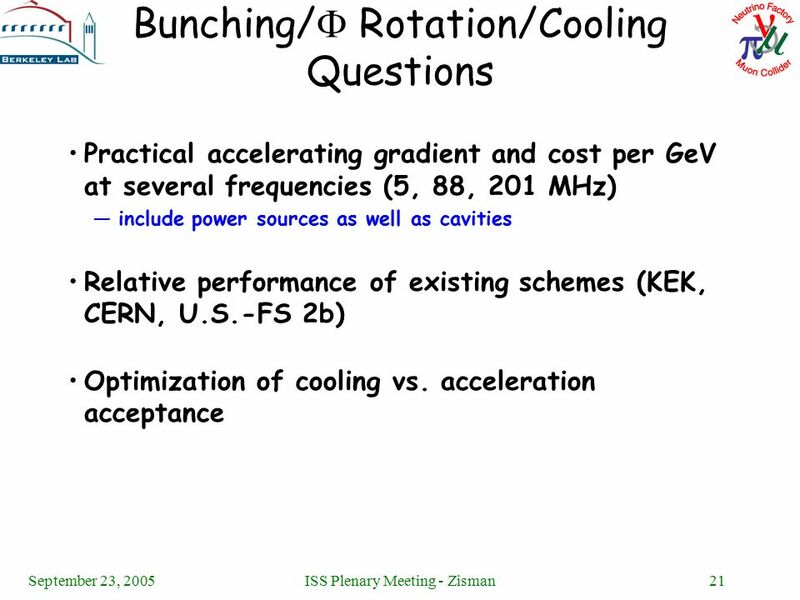 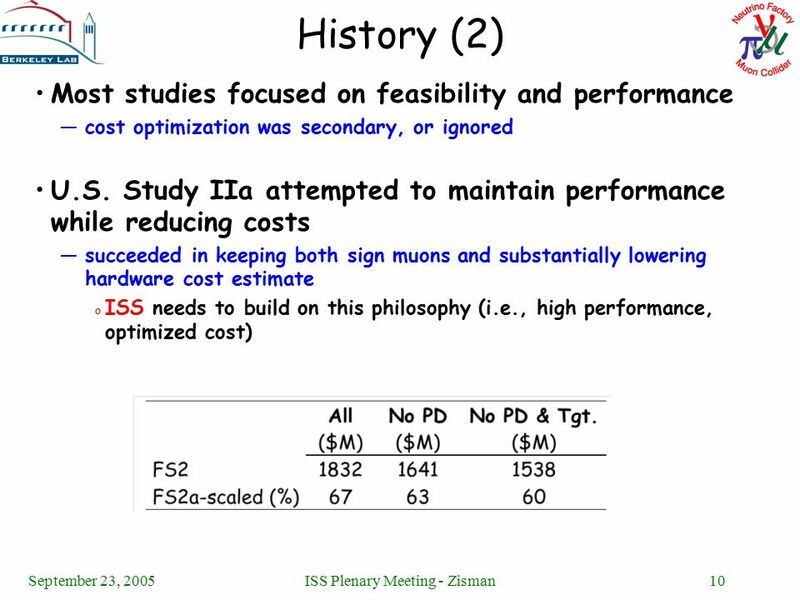 24 September 23, 2005ISS Plenary Meeting - Zisman24 Acceleration Phase 1 Compare different schemes on an even footing —RLA, scaling FFAG, non-scaling FFAG, linac o consider implications of keeping both sign muons o consider not only performance but relative costs Prepare scenarios for different values of acceptance —transverse and longitudinal o small, medium, large (or extra-large?) 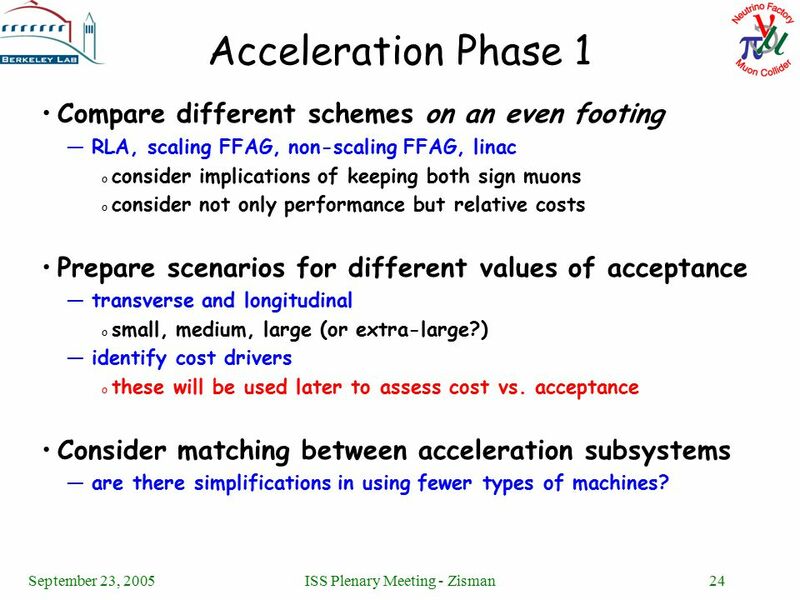 —identify cost drivers o these will be used later to assess cost vs. acceptance Consider matching between acceleration subsystems —are there simplifications in using fewer types of machines? 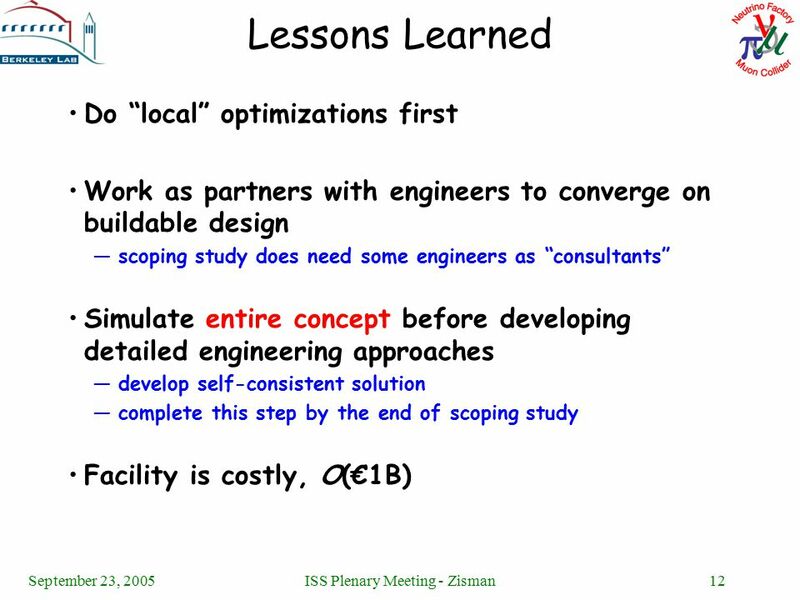 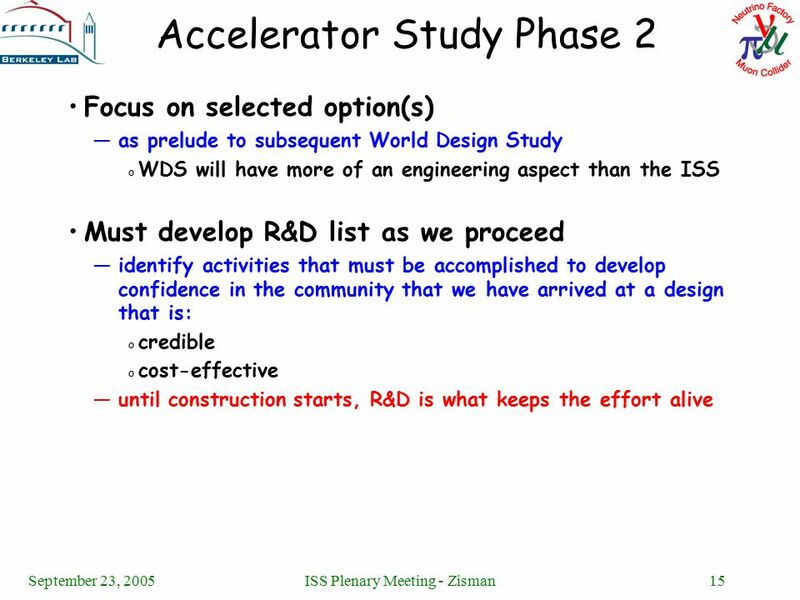 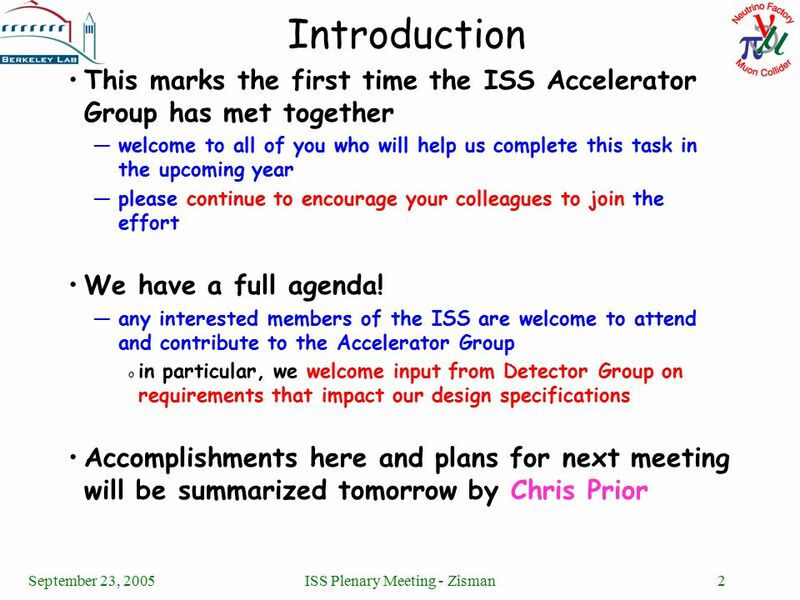 Download ppt "September 23, 2005ISS Plenary Meeting - Zisman International Scoping Study Accelerator Working Group: Tasks and Plans Michael S. Zisman Center for Beam." 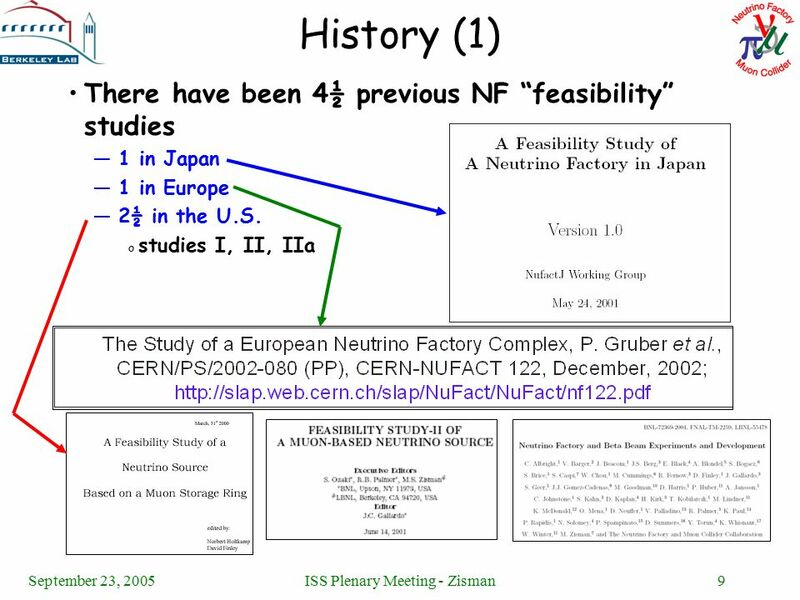 Participants WP3total Imperial College CERN STFC University Warwick CRNS University Oxford6 6 Total Euro  - WP3. 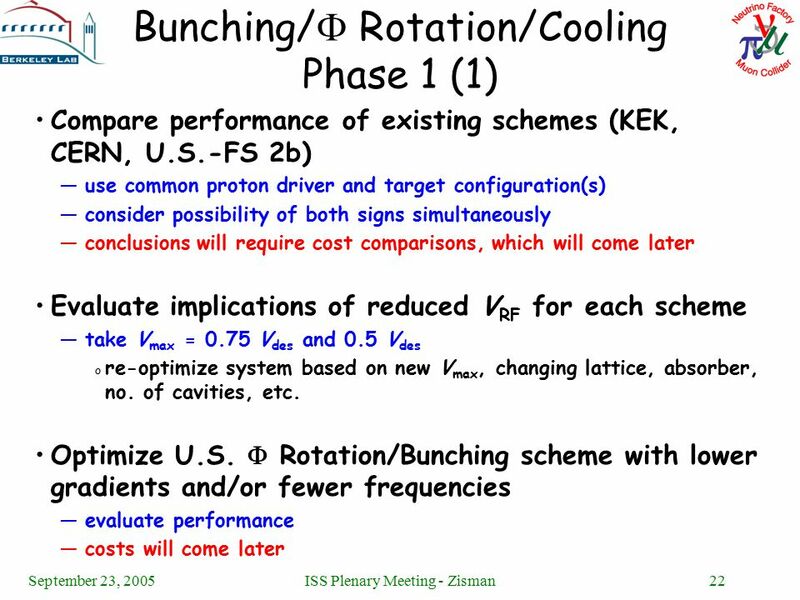 Bunched-Beam Phase Rotation- Variation and 0ptimization David Neuffer, A. Poklonskiy Fermilab. 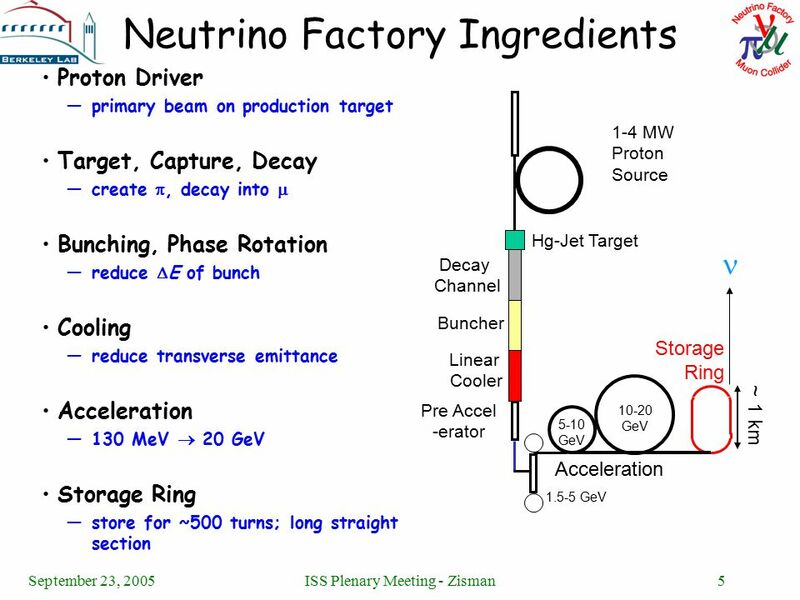 Μ-Capture, Energy Rotation, Cooling and High-pressure Cavities David Neuffer Fermilab. 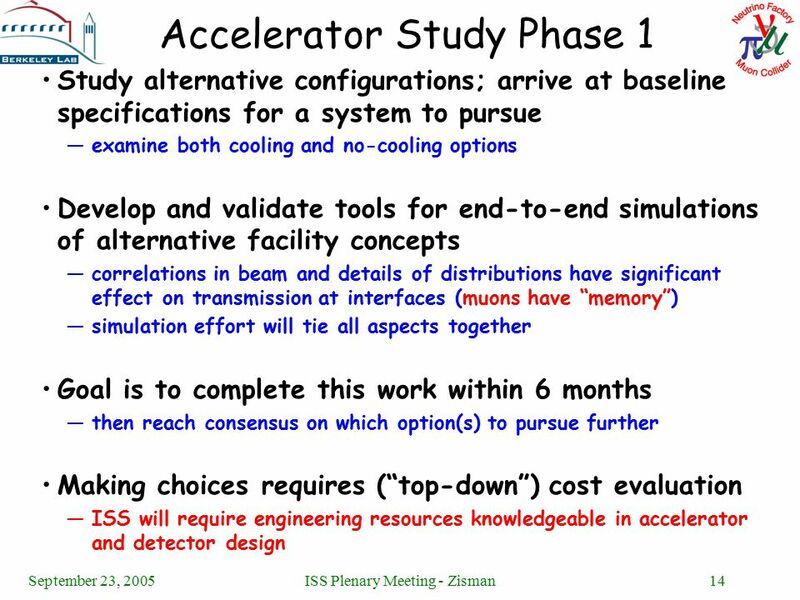 Simulation Study Results Study: Replace LiH-based cooler with gas-filled transport and rf cavities Results: Beam Cooling is significantly improved. 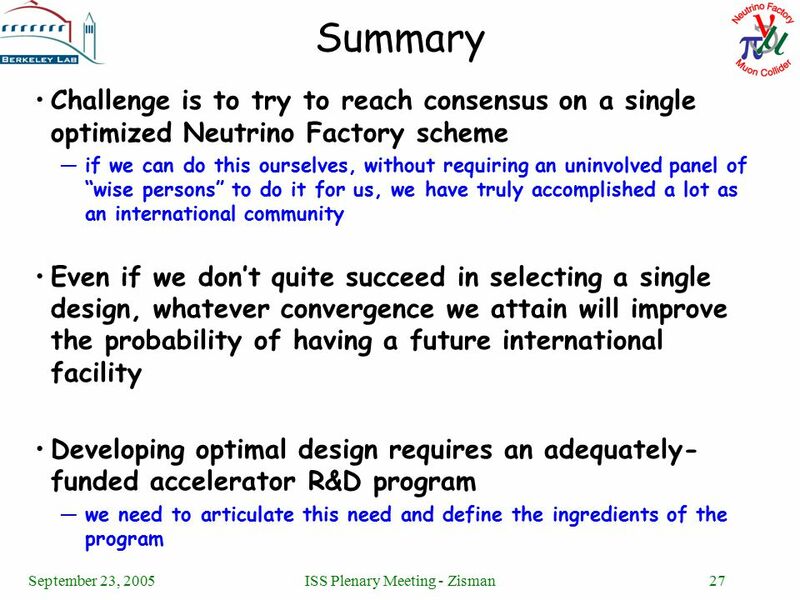 Final. 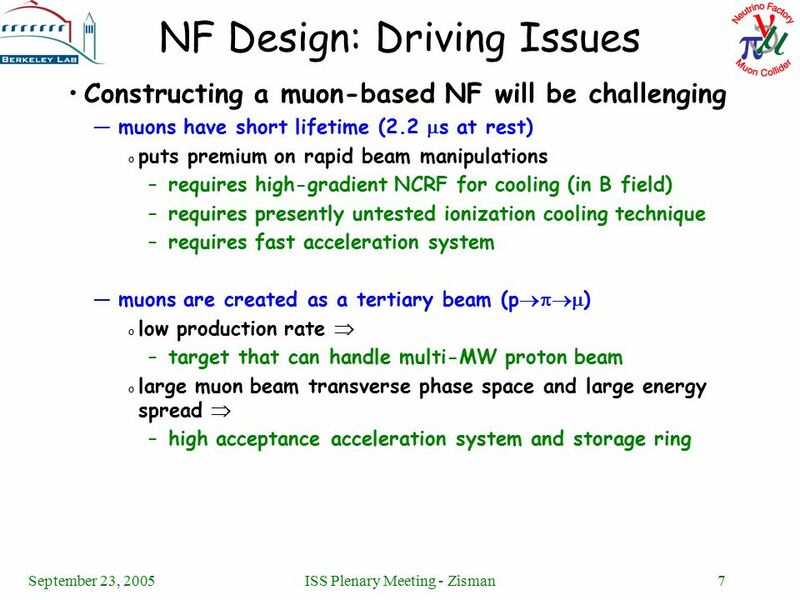 -Factory Front End Phase Rotation Optimization David Neuffer Fermilab Muons, Inc.
FFAG Concepts and Studies David Neuffer Fermilab. 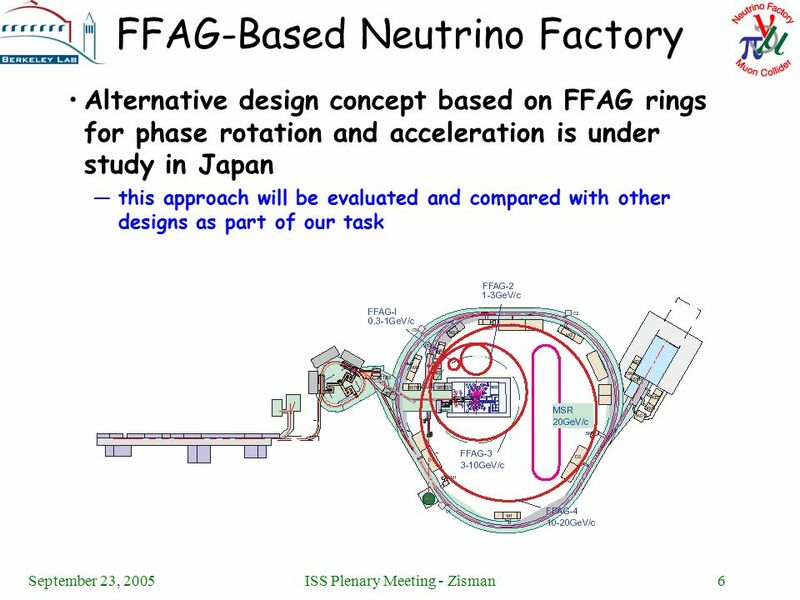 ABSTRACT The International Design Study for the Neutrino Factory (IDS- NF) baseline design 1 involves a complex chain of accelerators including a single-pass. 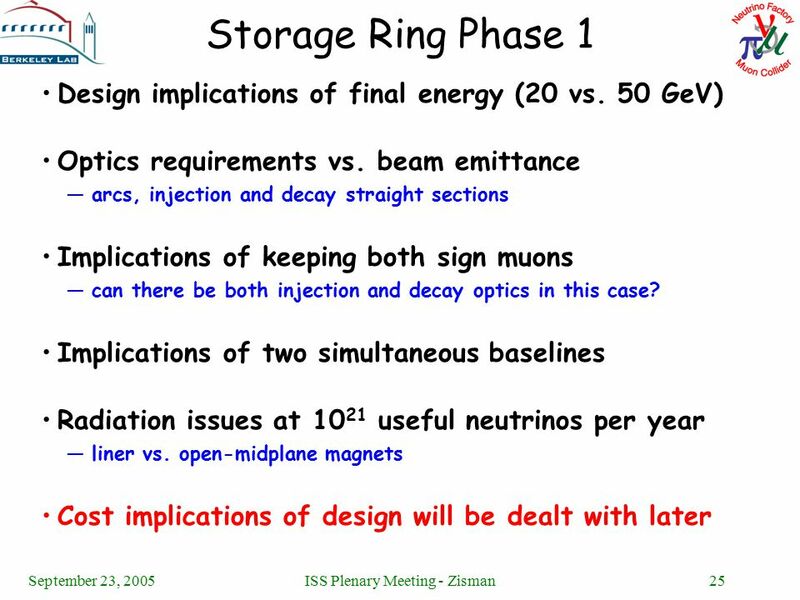 2011 Damping Rings Lattice Evaluation Mark Palmer Cornell University March 8, 2011. 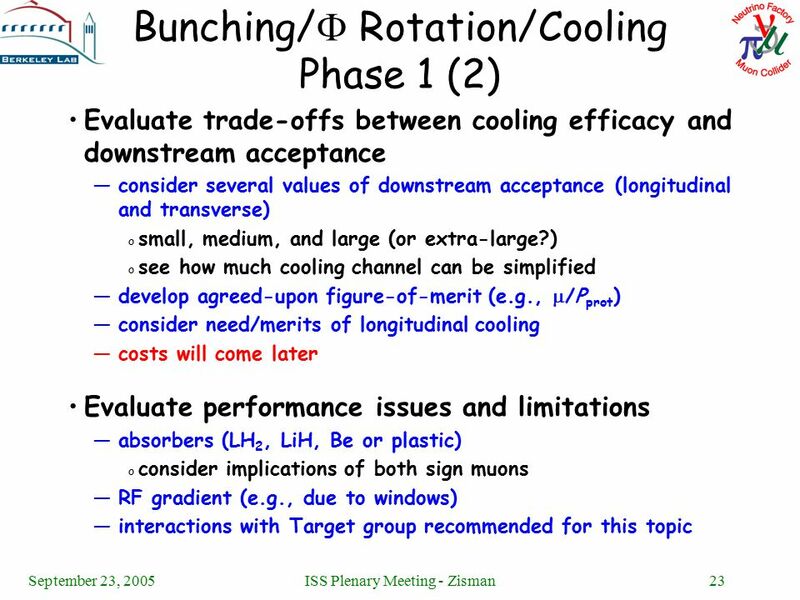 1 Front End Capture/Phase Rotation & Cooling Studies David Neuffer Cary Yoshikawa December 2008. 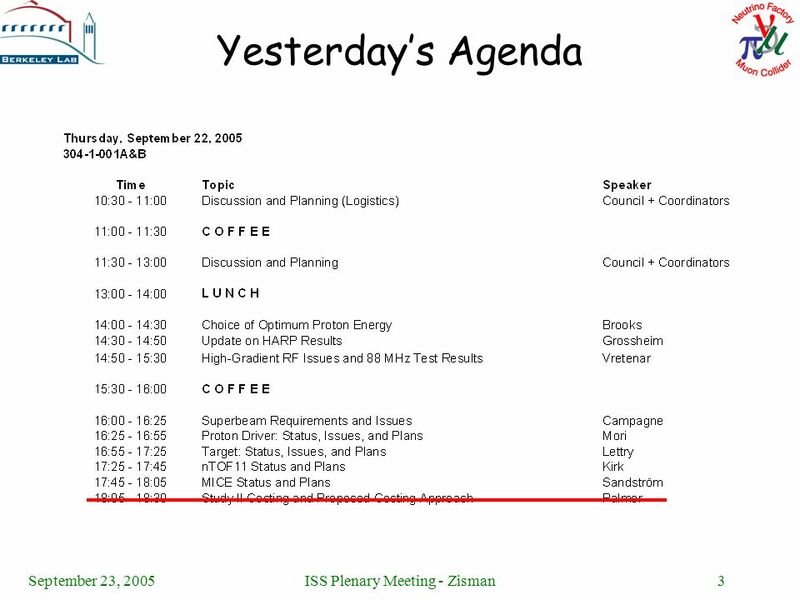 Institutional Logo Here Harold G. Kirk DOE Review of MAP (FNAL August 29-31, 2012)1 The Front End Harold Kirk Brookhaven National Lab August 30, 2012. 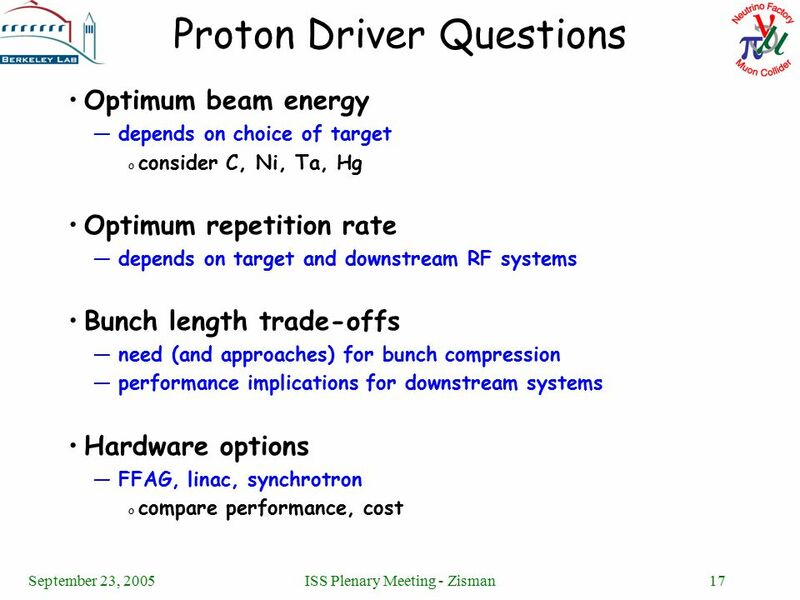 3 GeV,1.2 MW, Booster for Proton Driver G H Rees, RAL. 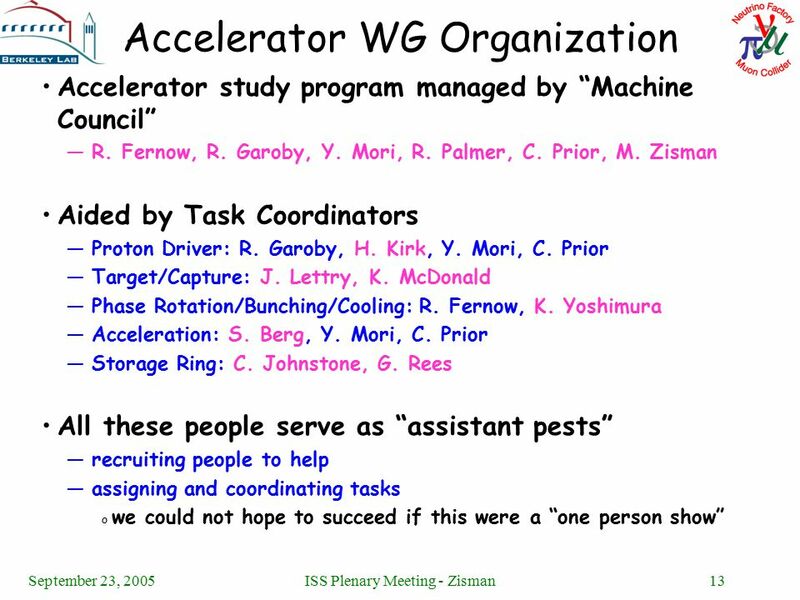 Source Group Bethan Dorman Paul Morris Laura Carroll Anthony Green Miriam Dowle Christopher Beach Sazlin Abdul Ghani Nicholas Torr.